An Australian-based software company is delivering reductions in HVAC energy costs by as much as 25 per cent on buildings across the globe. BuildingIQ says it is the only company making software that automatically makes real-time adjustments to building controls to reduce HVAC consumption based on several indicators, including weather forecast data, building characteristics, utility tariffs, demand response signals and occupant comfort. Its most iconic project is the largest Gold LEED-EB building in New York City. The management team of the 2.5 million square foot building had worked hard to optimise operations, drive down energy consumption and garner Gold LEED-EB status. However, it imposed a heavy burden in man-hours and considerable capital expense, often involving long lead-times. The big question was, how to better use existing infrastructure, without requiring yet another large infusion of capital? The building owners didn’t need more hardware, nor a greater burden on staff: they needed a solution. The owners were already being serviced by top-notch in-house engineering staff with a high sense of ownership, but said it was important to reduce energy without affecting tenant comfort or at the expense of increased attention and efforts from the building engineers. The predictive energy optimisation platform from BuildingIQ was installed in three weeks and saved the owner nearly $500,000 in HVAC energy in the first year alone, representing a 300 per cent return on investment. The BuildingIQ platform integrated with the legacy building management system via OPC connection. In just a few weeks, the BuildingIQ solution began changing the way the BMS operated in real time through automated and continuous system optimisation. Using existing building data and external data such as weather forecasts, energy tariffs and demand response signals, BuildingIQ’s proprietary algorithms began delivering intelligent automated energy savings. In addition to the $500,000 in HVAC energy savings, the building saved 440 tonnes of CO2 from being released into the environment in its first year. The solutions has produced three dollars in savings for every one dollar spent on subscription fees and required no upfront capital expenditure. Using a discount rate of eight per cent, the building will save just under $800,000 over the three-year lifetime of the agreement. The software works with a building’s control system to automatically fine-tune temperature and pressure set points. Changes are made at the air handler unit (AHU) level. Typically, the software only needs to communicate with a few points per AHU, so the cost and complexity of deploying the solution is minimal. The solution is deployed as a web-based software as a service (SaaS) product. The software automatically and continuously obtains data and based on those inputs, it runs thousands of simulations to arrive at the most efficient HVAC operating strategy for the next 24 hours. It then communicates to the BMS to make changes at the AHUs. Small changes at the AHUs result in large financial savings without affecting occupant comfort. Behind every customer deployment is a remote support team of experienced energy engineers that act as trusted partners for building operators. They monitor system performance and make sure comfort requirements are met. They also are able to identify “energy drain” faults that otherwise would go undetected, and can frequently be fixed remotely, saving customers money on unneeded HVAC. BuildingIQ aims to redefine and enhance the way energy is managed in commercial buildings. The company’s patent-pending predictive energy optimisation technology is the foundation for reducing energy cost and consumption. It is designed to help building owners, managers and tenants get more value out of their existing energy systems. BuildingIQ has garnered over 25 years' experience in building controls, modelling and comfort research by world-leading experts at CSIRO, Australia’s national labs and internally to create this platform in energy intelligence. 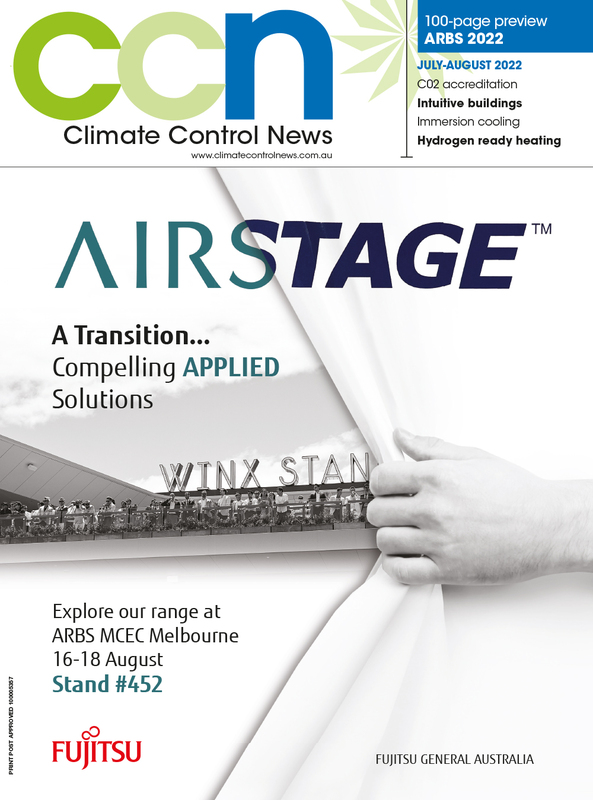 This solution is one of a number of case studies that are included in a special building automation feature in the March edition of Climate Control News magazine.